Our time in the Philippines over the past few weeks was much like I remember it to be in 2010; the weather was hot, the locals were almost distractingly interested in us, and our friends at Northwestern University (students, staff, and faculty) showed us unmatched, limitless hospitality and treated us as family. 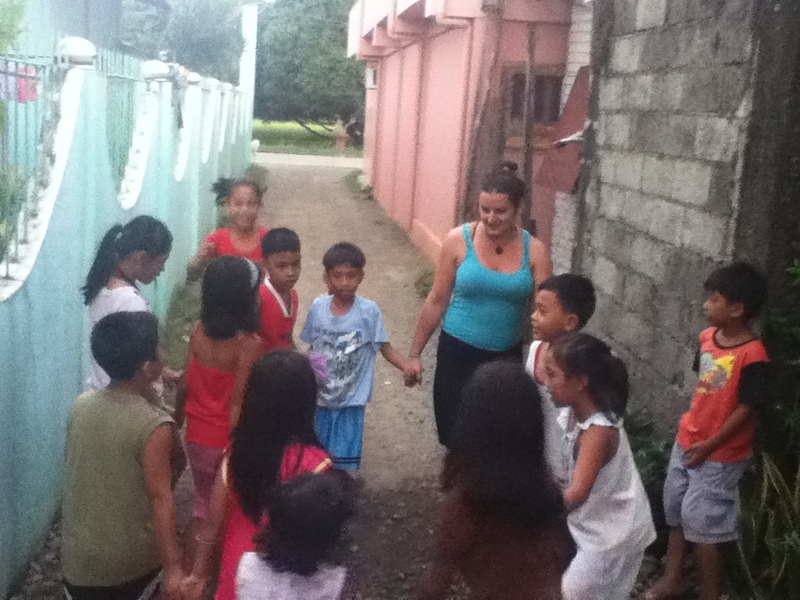 SSU student Nicole Leger daily built relationships and played with the neighbouring children near her Laoag home-stay. I find myself particularly emotionally affected by Filipino social conditions. The Filipino culture is, comparatively, a ‘halo halo’ – a mix of bits and pieces of many cultures – as a result of the many previous occupations and colonizations. What has resulted is a nation confused about its own identity, and about what it truly means to be Filipino. However, this does not limit Filipinos from some crucial identifiable cultural identity. As I blogged in 2010 (“Poverty and Pamilya”), the Filipino culture is very much centered on closeness and loyalty to family, which means that much of the time one’s extended family can expect to be found living in close quarters. Along with this, when a Filipino takes a guest into their household, that guest is truly treated as though they were part of the family; if the guest becomes sick, they are cared for. The guest is constantly fed and offered food, regardless of whether they are hungry. Filipinos go above and beyond to provide for others, especially those who are entrusted to their care. Our dear friend at Northwestern University, maam S, who daily looks after our team’s needs and cares for us. Jen Obokata (a fellow member of the S.E.A. 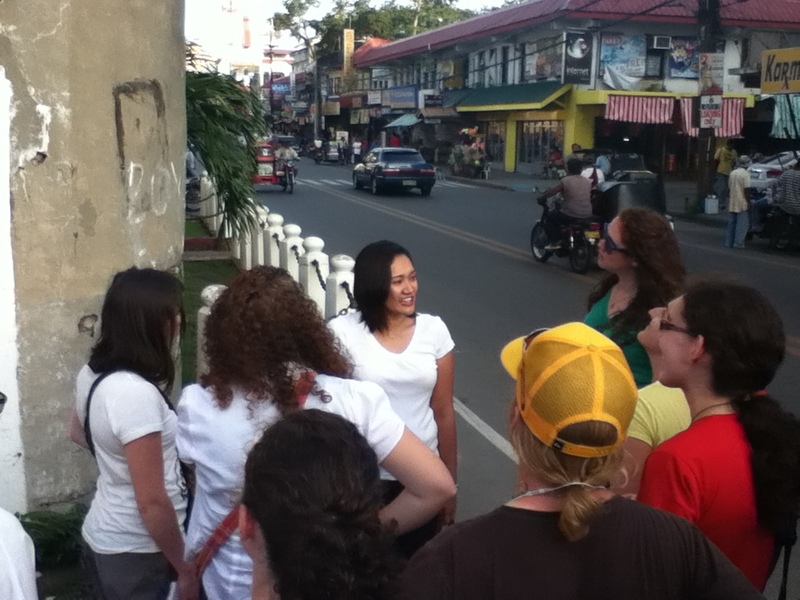 2012 leadership team) and I often discuss the selfless nature of our Filipino (and Filipina) friends in Laoag city. Since the two of us are not in home-stays on this trip, most of our evenings are spent entertaining ourselves, and exploring the city on our own. However, one of our friends on staff at Northwestern went above and beyond out of her way to care for us during our stay in Laoag. She would often call us and ask to take us out, or would sometimes just show up. Regardless of her own needs or anything going on in her life, she made countless genuine efforts to make sure we experienced Laoag, and to keep us happy. What genuine, beautiful friendships SSU has built in Southeast Asia. In spite of all the demands we might make, in spite of all of the times we are blatant and outspoken, our Filipino friends are constantly there for us: willing to serve, and offer us their genuine friendship.